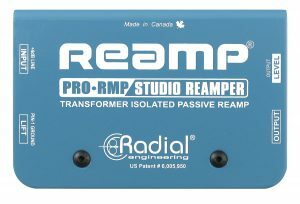 For years, Reamping has been the ‘secret weapon’ for countless recordings by the biggest names in the business! 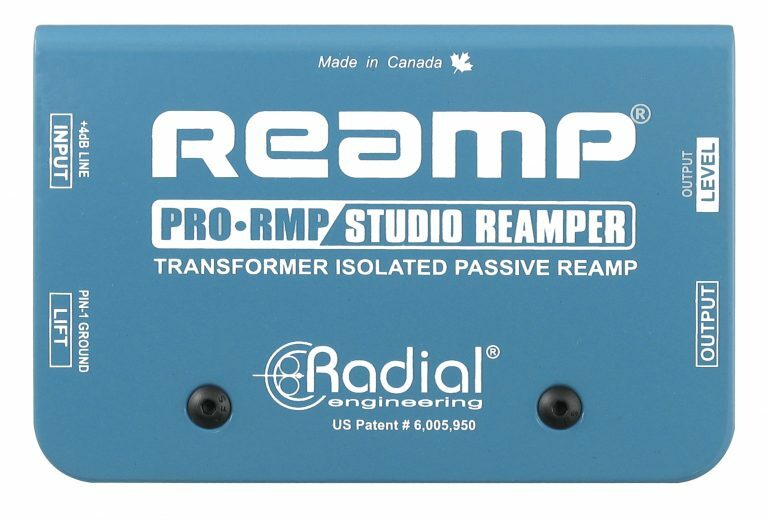 Few realize that recording engineers not only Reamp guitars, but often Reamp bass, keyboards, drums and even voice as a means to bring creative new tones and sonic signatures to their music. 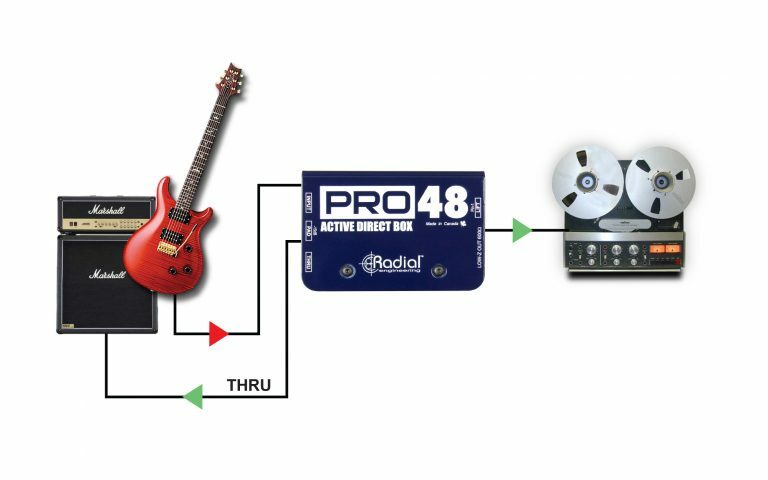 Record the guitar track using a Radial direct box like the Pro48. This splits the signal so that the guitar player can hear his amp while you capture the clean (dry) performance. 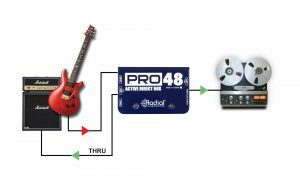 Send the dry track from your recording system to the ProRMP. 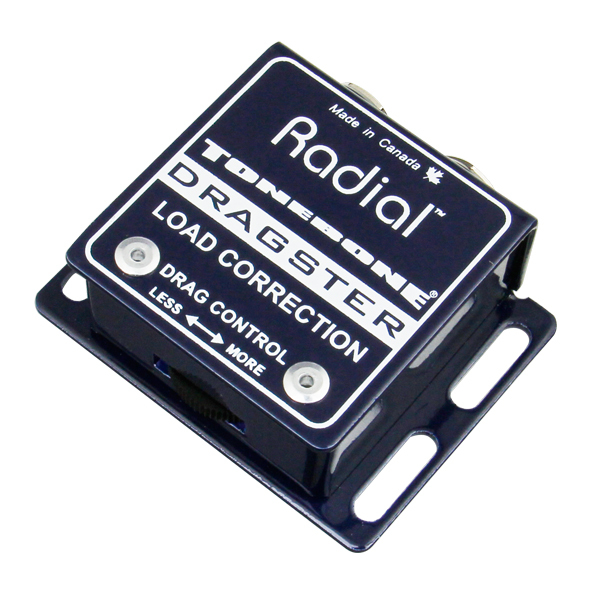 This then feeds your guitar amp and pedals. 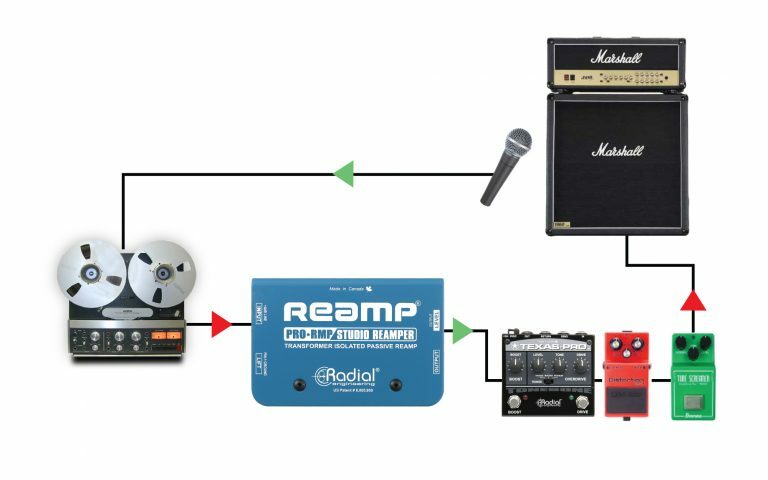 Adjust the tone and move the mics until you get the sound you want. 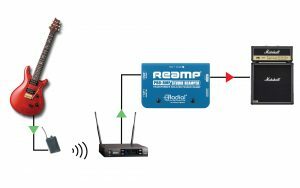 Most wireless systems simply do not sound all that good. Take the balanced output from the wireless and send it through the ProRMP. 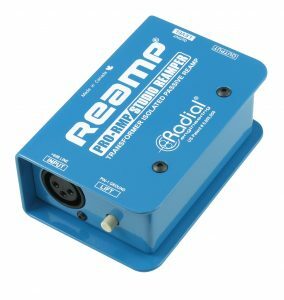 You will be amazed at the warmth! 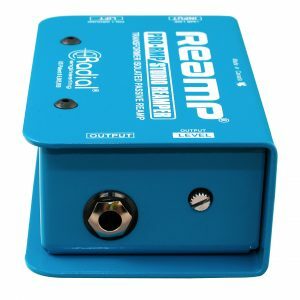 Do guitarists need a Reamp box or not? 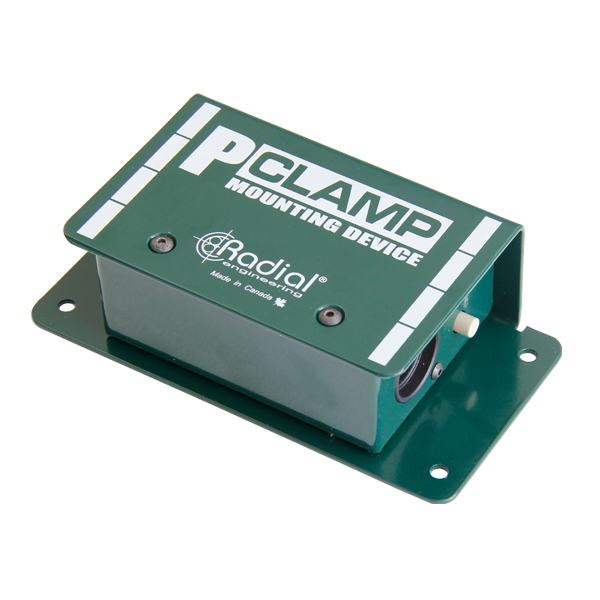 "The ProRMP is Radial's most affordable, simplest, and easiest-to-use reamper. 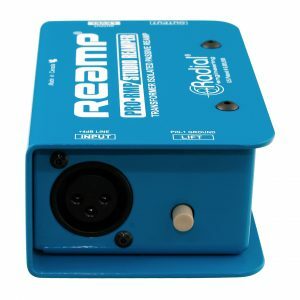 It does just what it says, does it well, and does it without complicated extras or setup hassles." 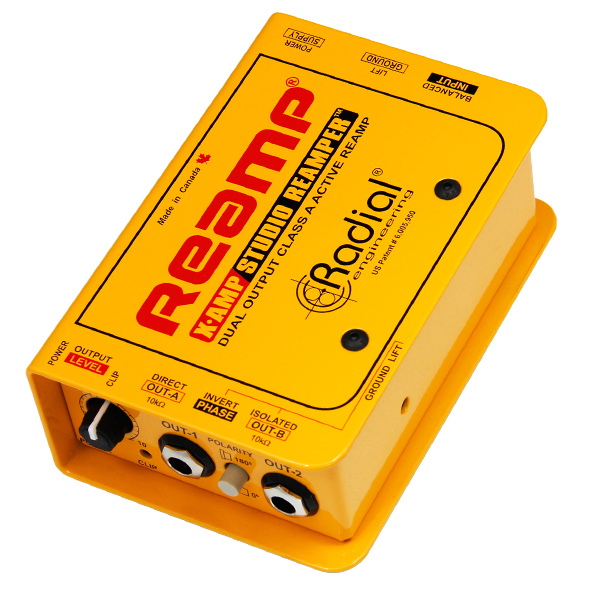 "I've found the Radial ProRMP Reamper useful many times in taking a second approach to my tone on a record. 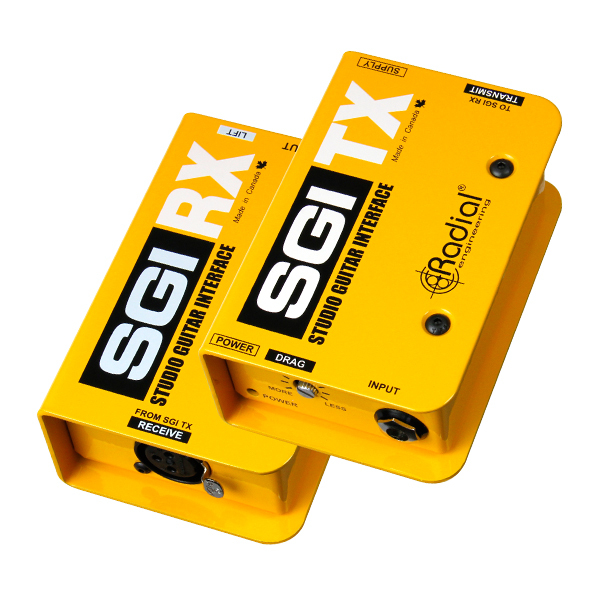 It also helps in live situations when applied with the SGI. 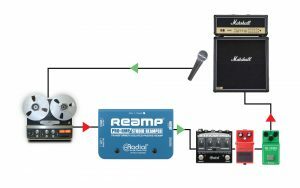 The distance from my wireless rig to the pedal board and then to the amp is considerable. It helps keep my signal strong, clean and with great tone quality!" 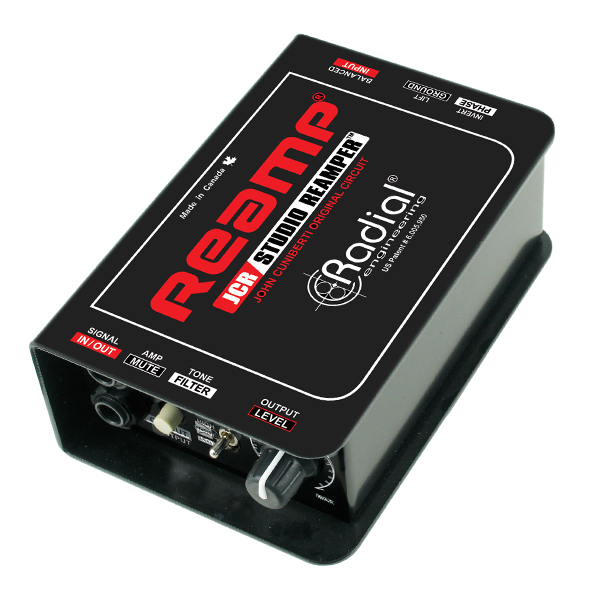 "The Radial ProRMP delivers the truest sound out of a wireless system we have ever had. The ProRMP allow us to use XLR cables from the wireless receivers right to our amps, keeping the sound from degrading along the way. 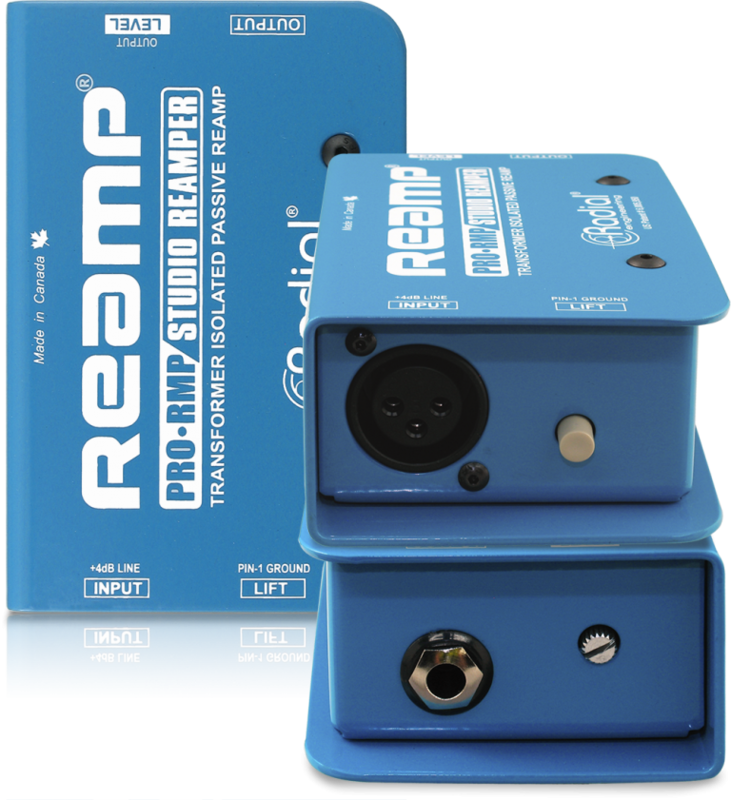 These boxes have also saved our lives in the studio when we've had to Reamp guitar tones. Now they're saving us on the stage too."